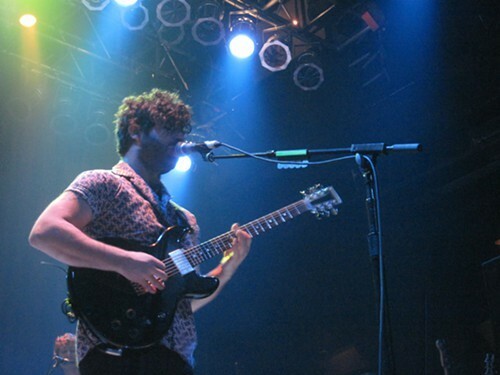 With an extended musical prelude - and a segue into the band's song "Prelude" - Foals stepped into Cleveland with the allure of hypnotic power in mind. 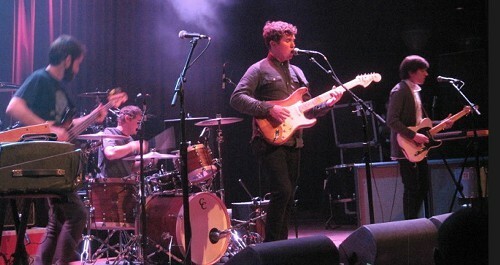 Singer Yannis Philippakis, a heartfelt artist clearly embedded in his band's music, led a supercharged ride through a set of mostly newer material. 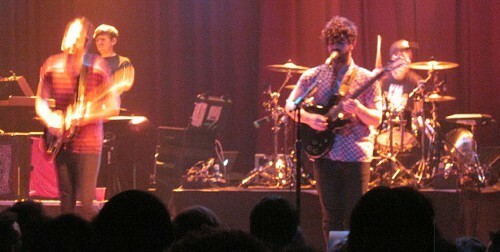 And not only was the music on point throughout the night, but there was a bit of a theatrical element at play, as well. The lighting rig - with full-on strobe madness toward the end of the show - complemented the mosaic of sound and brought a warm reception to the crowd's collective visual cortex. 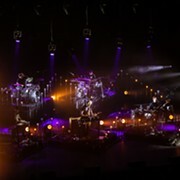 Whereas a lot of the band's range draws on frenetic math-rock influences and the like, "Spanish Sahara" remains one of their more enticing songs (see video below). The slow build toward a mighty crescendo is an exciting thing to experience. The band left nothing on the table in terms of energy and verve all night. 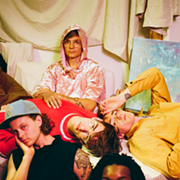 "Inhaler," the major single off the band's latest release, brought a swell of energy through the audience just as the show was about to conclude. The song's quiet/loud dynamics, interspersed with staccato joy, worked wonders down in the pit. Some have said the band's 2010 release Astro Coast saved countless lives from the dreary path of, ya know, the previous decade's often aimless indie rock. The album breathed life in and breathed life out. Three years down the road, it's still a marvel and the band knows how to translate their craft from the studio to stage. It's been two years since they stopped in Cleveland, and their vitality was clear. Probably the thing that saves Surfer Blood is that they have not dipped their toes completely in the woe-begotten machinations of scream rock/screamo/etc. But Pitts absolutely SHINES when he roars his guttural banshee yawp through the mic. It the contrast that matters here. Listeners should expect a bit more of the screaming bit on the band's upcoming album Pylons Pythons, due out June 11. Blondfire opened the evening's festivities with an attractive show, closing out with "Where The Kids Are" (a terrific tune). The general hubbub among the crowd was a sort of an upbeat interest in the band, which has been spawning a dedicated fanbase over the years via LA and, slowly but surely, points east.